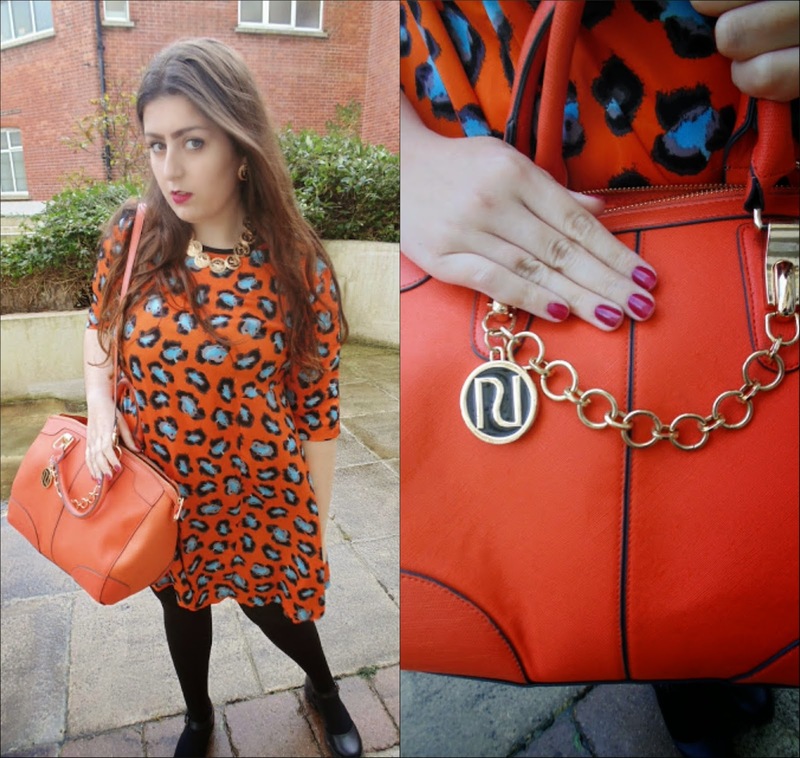 On Wednesday I wore this amazing orange dress by Louche! I'm not the stereo-typical girl who saves dresses for special occasions as I believe that everyday we should be the best we can be. I LOVE wearing dresses all of the time as they make me feel feminine, comfortable and confident. Wearing leggings all of the time is so tedious and I used to be like that when I was a tad younger, but now I believe being classy and feminine is 'me' and that's what I love most about my style! I teamed this bold printed dress with a bold bag, gold tone jewellery, berry lips and bold brows. It's important not to wear red lips when sporting an orange outfit as it can look sickly. This dress is great for daytime or nighttime, so if you invest in a dress like this it is a true staple piece that will see you through many seasons, if not years! I'm totally with you on the 'dressing up every day' front - life's too short to wear boring clothes! Love how you've styled this, especially with that necklace, which is to die for!